Congratulations to everyone on Team England who showed that us Brits are a derby force to be reckoned with, third place, well done girls!! 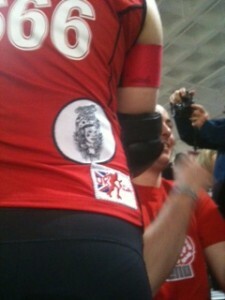 And special congratulations go out to our sponsored skater Juicy Lucy for playing her part. It was a privilege for us to sponsor her, and we’re so proud of both her rad blocking and jamming skills. We definitely got our money’s worth! Roll on World Cup 2012.